There are plenty of guides for hard content, grinding, leveling, but I wanted one location for all the tips and tricks. Get an extra run out of keys or limited time events, simply open the event screen and lock your phone, come back when you have more energy and run the quest. If you’re planning on running Metal Parades try to time when you do them near level ups. It costs 15 energy per run, so determine how many runs you can do in a full energy bar, then get your XP to level less than 1000 * max number of runs. Leveling will refill your energy and double your number of runs. Use units with Defense Ignore like Dilma and Melchio during Metal Parades to do more than 1 damage at a time. Use a friend or leader with an attack up during spark for Metal Parades. Rickel and Behemoth both do this. You’ll do 2 damage during spark rather than just 1. 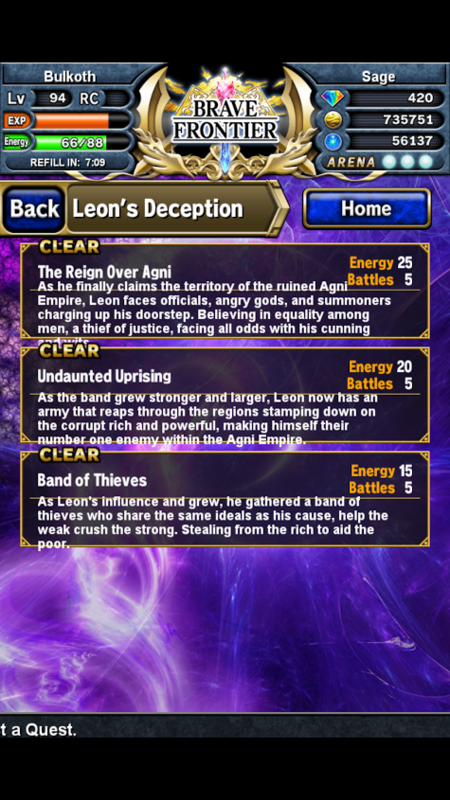 Use a Leon (Easily captured in Mistral) for your leader during Golden Vault or Jewel Parades. You’ll max out the amount of zel you get from the Jewel units during spark. 1,000 zel for ghosts, 3,000 for kings, and 5,000 for gods. Using spheres that add a chance to Ignore Target Defense or +50% or more spark damage will also speed up your metal parades. If you have spare energy that will be wasted when you level up you can launch quests to collect the honor points then cancel out of them. Summon only during Rate Ups for units you want, you still have a shot at every other unit in the game so summoning any other time is wasteful. Watch the reddit for gem sales and stock up on Amazon coins when they are on sale, you can often stack several discounts for up to 50% off if you are patient. Low level: With 15 energy ready, enough units to fill a party and an entry level healer: grab a metal key from the city and run metal parade, every run gives 1k XP which should get you to level 12 or higher in under an hour. High level: Take advantage of half energy and double XP times on missions like Fourfold Pillar. You’ll be surprised how much XP you can get from Mistral dungeons, it can often be enough to level over and over on just the energy refill even at levels 80 and above. You can get the exact number of XP you need to level by going to the home screen and holding anywhere at the top of the screen. Use the awesome Brave Frontier Wiki to know exactly how much XP your unit needs to hit max so you don’t waste any metal units getting there. Units marked as “Favorite” don’t appear in the fusion or selling screens, protect your units by favoriting ALL of them, you can always remove them from favorites later to sell or fuse them. Units in your squads also don’t appear in these menus. You can press and hold on your friends unit to show their type, sphere and BB/SBB level. Killing the app and relaunching it will get a different selection of friends to choose Leaders from. Avoid Mimics by not opening treasure chests if they’re shaking. Items left in your mailbox do not count toward your item/unit/key limit so leave them there a few days until you are ready to use them, just watch that they don’t expire after 30 days. Know what items to throw away so you can spend those gems on summons but reading the item guide. You can get 2 free random rewards with the possibility of gems by watching each of the tutorial videos under Menu, Tips and Info. A location (Vortex, Arena, etc) does not have to be center to open it, you can tap the locations on the edges of the screen to open them. There is an easy to miss button under Menu to bring up the News menu after you’ve closed it. Linking your facebook account to your BF account ensures that you can retrieve your account in the event of losing or breaking your phone/tablet. Any time your game gets a download bar should be a sign that the servers and client are in flux, avoid rare summoning or spending energy you can’t afford to lose for a short while in case your game crashes. 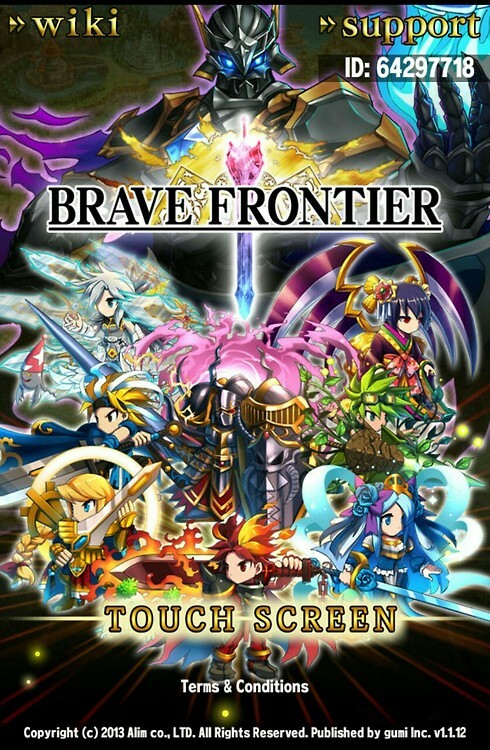 Check the newest posts on /r/bravefrontier as someone will probably have already posted their tale of woe if the servers are having issues.